Experience a day of family fun along one of West Virginia’s most scenic lakes at the 5th annual Summersville Lake Lighthouse Festival on Saturday, August 25. The one-day festival will feature activities and events for everyone in your crew to enjoy! Artists from Tamarack will be selling their products and showcasing their crafts. While you shop, you can rock out to the music of Emmalea Deal from 11 a.m.-2 p.m. and take a trip down memory lane with Rudy Elvis from 3-5 p.m.
Motorheads will have the opportunity to see a large collection of cars on display at the Lighthouse Festival Car Show. Come by and vote for your favorite (just $1 a vote) and kids can choose their favorite for the “Kids’ Choice” award! Ranger Roy Moore from the Cranberry Glades Visitor Center will be there with the group’s snake exhibit. The Nicholas County Sheriff’s Department K9s will demonstrate their skills. Meet and greet WSAZ TV news anchor Taylor Eaton and the Lighthouse Festival Royalty. The Humane Society and Nicholas County Animal Shelter will have animals available for adoption. Lighthouse tours will be available at a special price of $5. And, be sure to sign up for the various raffles to take home some awesome prizes! The festival is on Saturday, August 25, from 10 a.m. to 6 p.m.
Summersville Lake is the largest in West Virginia, and one of its most striking. With colorful rock faces along the shoreline, the lake’s serene beauty is not to be missed. The lighthouse along was constructed in 2012 and is the only operational one in West Virginia. It’s listed on FAA charts, but as an aeronautical structure, not a nautical one. 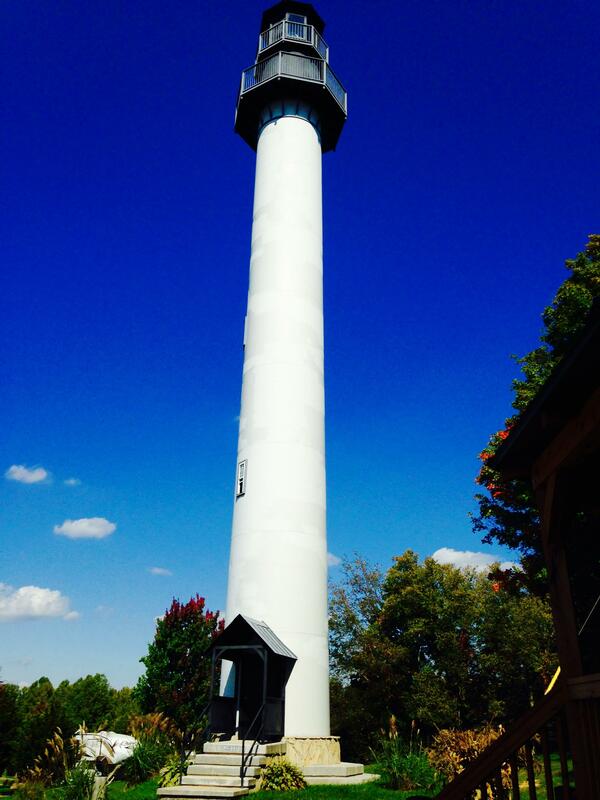 The lighthouse festival is ready to put a spotlight of fun on your Saturday plans!